Mixed Berry Cheesecake will be your new go-to dessert! 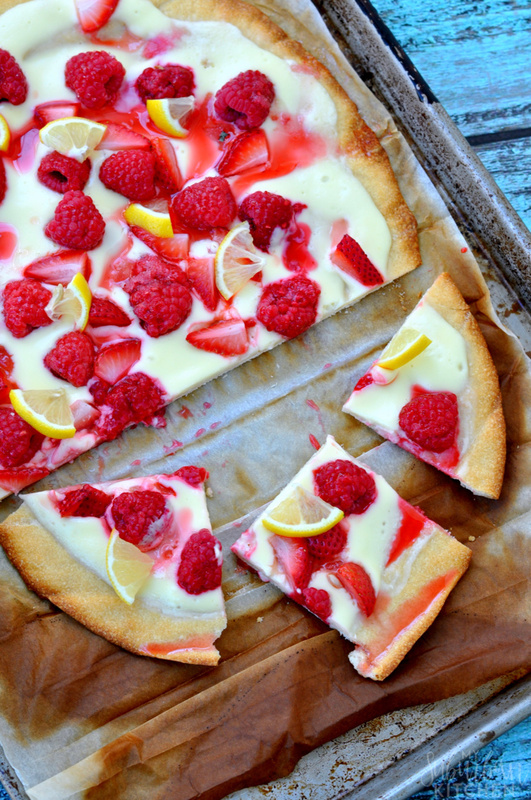 Make the most of fresh, summer berries when you use it for an amazing cheesecake pizza. 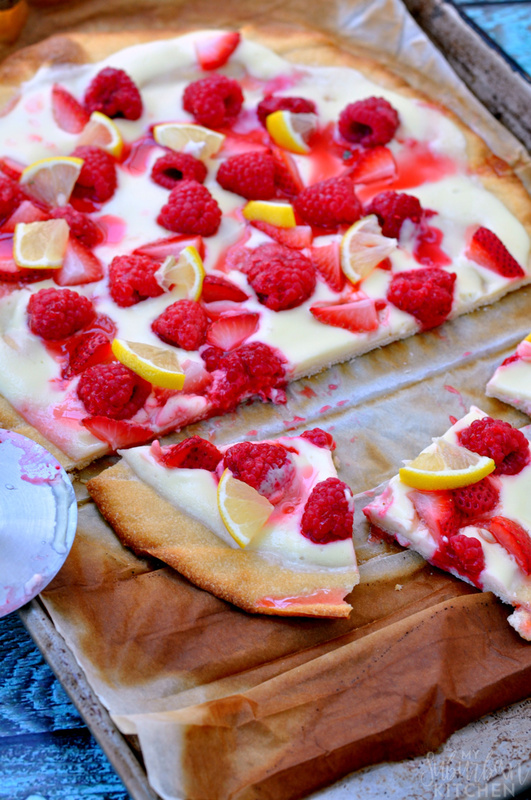 Raspberries, strawberries, cream cheese, sugar, and lemon, all on a delicious pizza crust! 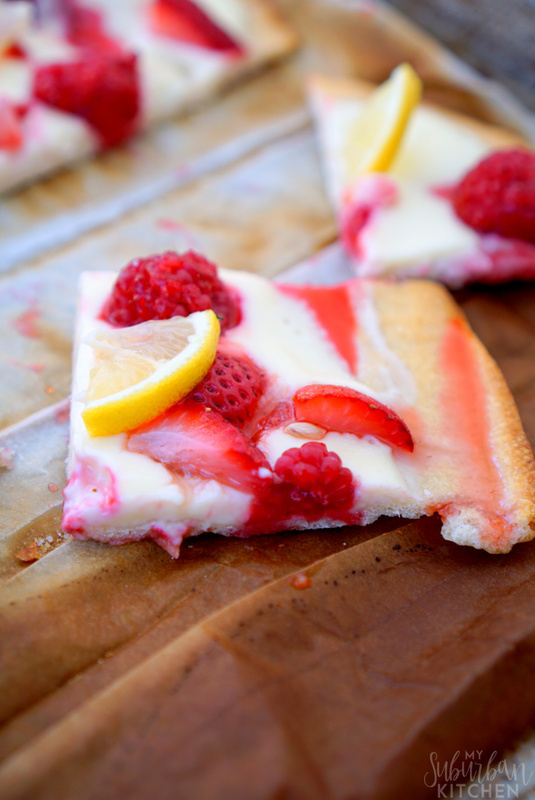 Mixed Berry Cheesecake Pizza will be your new favorite dessert pizza for sure! Ok, are you sitting down? If you aren’t, find a chair. I am about the blow your mind because we are going to combine three of the best foods out there to create one beyond words amazing Mixed Berry Cheesecake Pizza. Yes, I said cheesecake pizza. 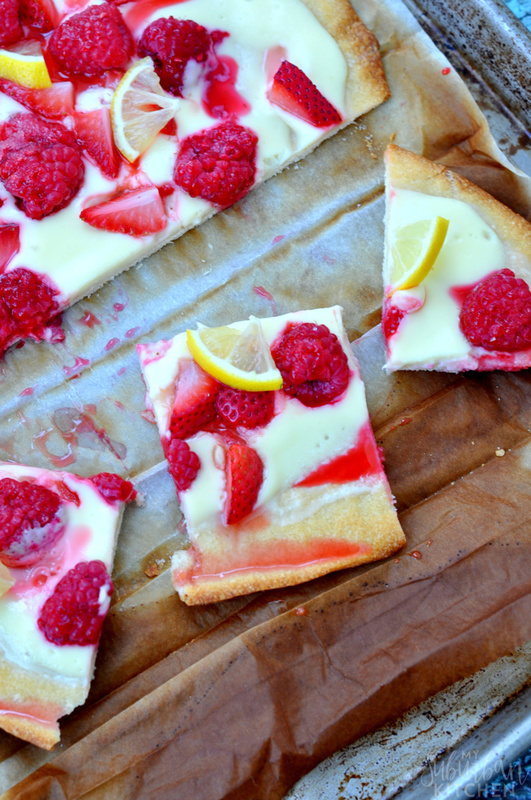 This cheesecake pizza is the ultimate summer dessert and the fresh berries just make it so ridiculously good. It is the perfect way to use up all the those strawberries and raspberries from the farmer’s market. I use a store bought pizza crust that you roll out and bake but feel free to use your favorite pizza crust recipe. 1. Prepare pizza crust according to package directions reducing the cooking time by 10 minutes. 2. In a medium bowl, combine berries and 1/3 cup sugar. Stir to combine. Let sit for 15 minutes. 3. In a mixer, beat cream cheese until smooth. Add in sugar and beat until fully combined and smooth. Add egg and beat until smooth. Spread cream cheese mixture onto cooked pizza crust. Return to oven and bake for 7 minutes. Top with berries and cook for an additional 2-3 minutes or until cheesecake is set. 4. Let cool. Top with lemon slices if desired. This cheesecake pizza is so good that you are going to be stocking up on pizza crust any time you see them on sale! I absolutely love the little bit of zing the lemon pieces give so be sure to try them on top! Prepare pizza crust according to package directions reducing the cooking time by 10 minutes. In a medium bowl, combine berries and 1/3 cup sugar. Stir to combine. Let sit for 15 minutes. In a mixer, beat cream cheese until smooth. Add in sugar and beat until fully combined and smooth. Add egg and beat until smooth. Spread cream cheese mixture onto cooked pizza crust. Return to oven and bake for 7 minutes. Top with berries and cook for an additional 2-3 minutes or until cheesecake is set. Let cool. Top with lemon slices if desired. this looks amazing and refreshing. i hate lemon, though, do you think it absolutely needs it? ?